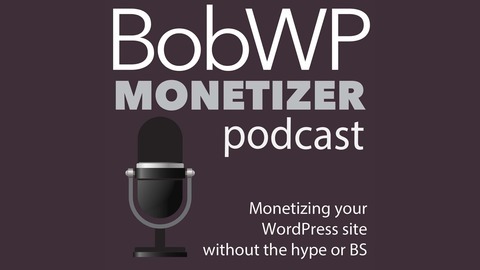 This weekly podcast brings you straight-forward actionable tips on how to monetize your WordPress site or blog. We will will talk about online stores, advertising, affiliate marketing, selling your services and/or products, courses, memberships and anything else you can think of to make money on your site. We aren't promising you get-rich schemes or false promises, but steps you can take to help your reach your goals. Well, this seemed so appropriate considering the holiday we just celebrated yesterday here in the US. 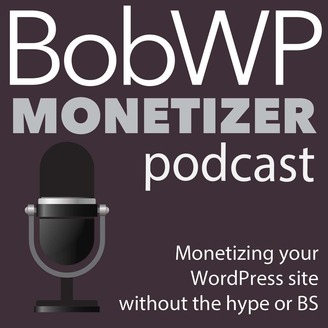 This day marks the last day of a six-month sponsorship of this podcast from our friends at MOJO Marketplace. When I started this podcast and was looking for a sponsor, there was something that clicked with me when I approached the team there. You probably know by now that their marketplace sells tons of themes and plugins for WordPress and, yes, even those other CMS’s out there. In fact, if you want to hear about how it all started, you can listen to our podcast The Story Behind MOJO Marketplace with Brady Nord. But what really brought me to their doorstep was WP Live. I spent a good six years teaching people about WordPress. I did this through online coaching, training and support. I helped scores of people through my local workshops. And I spoke at WordCamps and blogging conferences across the US. It was my passion. I’ll admit it still is, though most of it happens through my blog and podcasts now. Reading tutorials and watching videos is okay for some people and in certain instances. But other times you need a question answered now. Or maybe you could use some suggestions for growing your site. With WP Live, you can do this via chat, email or phone. There are lot of good companies and individuals that will keep your site running. They will make sure things are updated, backups are made, and that you can stay online as much as humanly possible. But sometimes you just need to be able to reach out to someone, people who know their stuff. Sure it’s good to have support if your site blows up and there seems to be plenty of people who will be on hand for you. But what about those other questions? Wanting someone to show you how to do something. Or give you advice. This is where MOJO Marketplace and their WP Live services fill a void. They can help you choose the right tools, customize your site design and help you to grow and optimize your site. This saves you the time and the danger of getting lost in the world of Google search looking for answers. So again, a big thanks to MOJO Marketplace for sponsoring our podcast for the first six months.